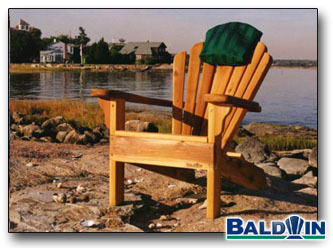 "I am currently experimenting to determine the longevity of a Baldwin Head Cushion when left outdoors. I fit the cushion over the backrest of my Baldwin Rocking Chair (my favorite) on my back deck at home. It has been there since July 2001, and as of July 2005, it still looks like new! I see no sign of aging what-so-ever!"